In Bologna, at the university and in the city, we will join the European mobilization for a hunger strike to express our solidarity with 6500 Palestinian political prisoners in Israeli jails, of whom 1600 have launched a hunger strike since 17 April, the #DignityStrike. The prisoners are demanding their fundamental human rights for dignity and freedom, and are facing violence and repression by the regime of colonization, military occupation and apartheid perpetuated by the Israeli state. In coordination with fellow students in Europe (including groups in Manchester, Madrid, Maastricht and Torino), on 9 May we will join with a symbolic hunger strike to support the prisoners. We feel the need to participate from the University of Bologna, which has active projects and agreements with the Technion and other Israeli universities engaged in military research. After the university administration tried to dissuade us from organizing events on campus during Israeli Apartheid Week, we believe it is important to reiterate our commitment to the fundamental principles of Palestinian rights. 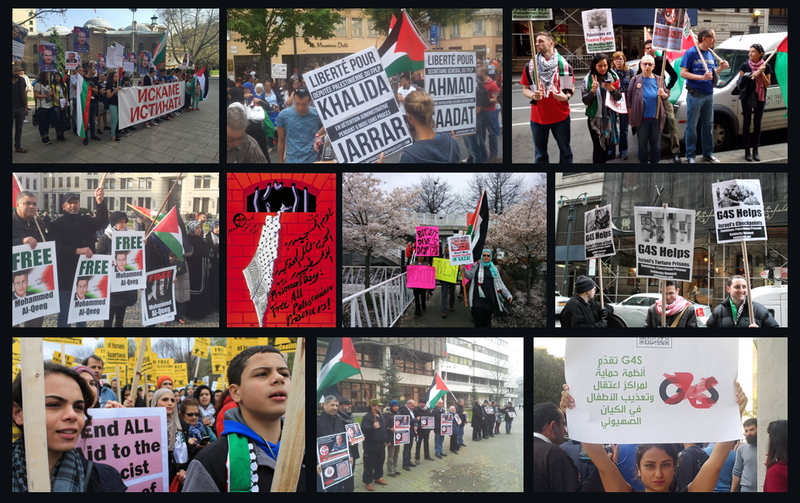 For years, many associations and movements have worked to support the Palestinian people, the campaign for the liberation of Palestinian political prisoners, and the campaign for boycott, divestment and sanctions (BDS) against the violations of human rights and international law by the Israeli state. The BDS campaign against the multinational Hewlett-Packard (#IoNoComproHP), which provides the IT infrastructure for the Israeli armed forces and prison system, focuses on the issue of international complicity with Israel in the denial of Palestinian rights. We urge all to join us in the rally on 9 May at Piazza del Nettuno at 5:30 pm and join the hunger strike with Palestinian prisoners.